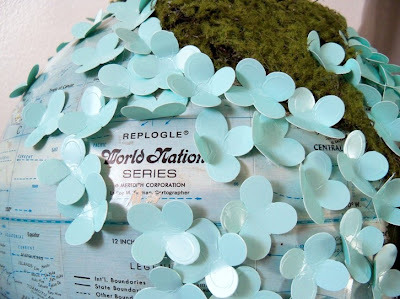 $5 Friday: Globe upcycled for Spring! 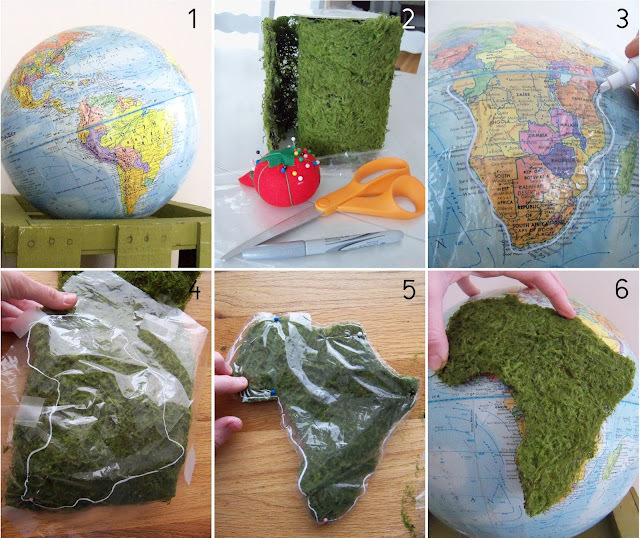 I got this amazing moss “ribbon” at JoAnn’s and it worked perfectly for cutting out all of the continents. I made a simple pattern using plastic and a chalk marker to trace around the continents. 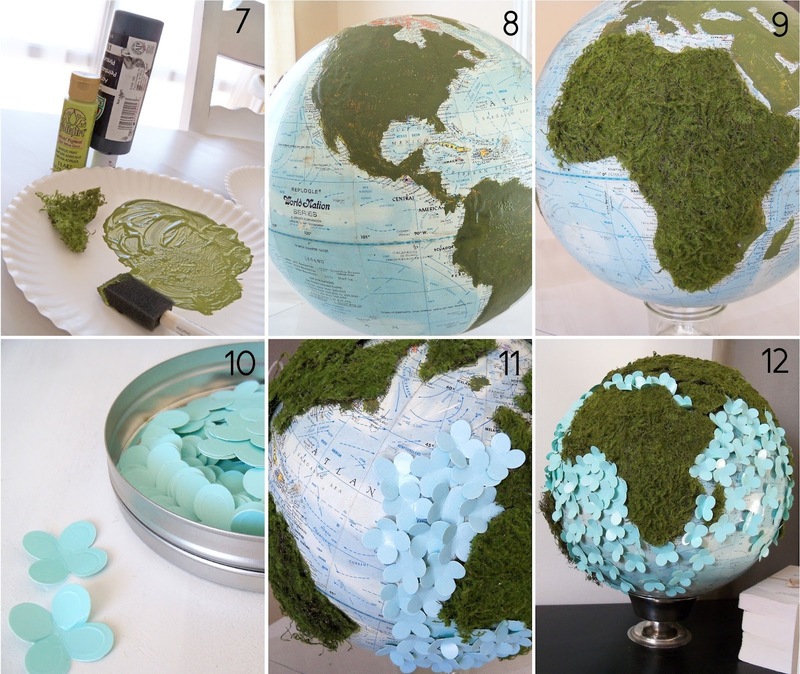 Once all of my moss was cut out, I painted all the “land” on the globe in a green color to match the moss. Then I used a lot of hot glue to complete the project! I glued the moss on first, and then started gluing the flowers one at a time. I found these robin’s egg blue paper flowers at a scrapbook store years ago! They have been sitting in my craft room and I was so happy to finally find the perfect use for them 🙂 I started out gluing them pretty close together, but soon realized that I wouldn’t have enough flowers to fill the entire “ocean” so I started spacing them out strategically at the top and base of the globe. I really like the end result with the original pacific ocean showing through! What are you doing to bring a little “spring” in? I love it so much! It’s absolutely perfect for spring. And ONE DOLLAR for the globe!? I’m so jealous. 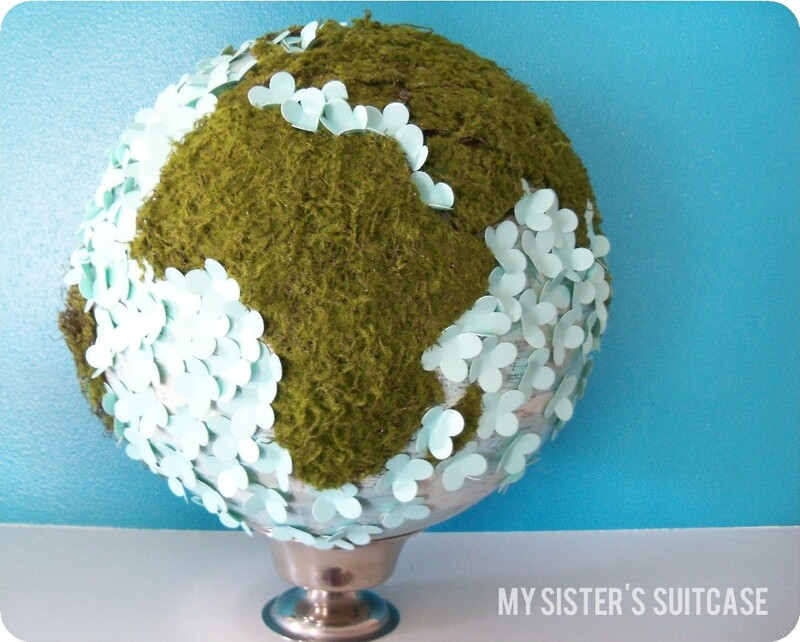 That is the cutest use for an old globe I have seen. Just adorable. Now I’ll have my eye out for an old globe at Good Will. Visiting from the grow your blog hop. I’m your newest follower. This is SO unique, and very lovely! Good luck at American Crafter! No freaking way!! 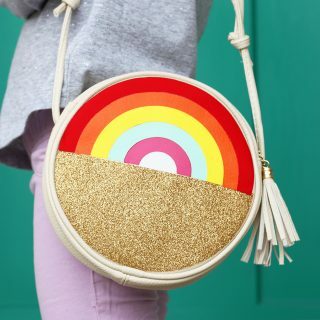 This is so unique and pretty!!!! Who would have thought to cover a globe like that- so cool!!! This is adorable and very unique. Love it. Great idea, Holly! Love it. Amazingly creative! Thanks for the inspiration! oh my gosh, that is adorable! I am totally loving globes right now!!! Wish I had one I wasn’t using!!! This is SERIOUSLY cool and belongs in a magazine! I am now on the search for a globe…and the moss, I hear it is going to be all the rage this season! Would love it if you could share this with my peeps at Destination: Inspiration on Teagan’s Travels going on now. In the meantime, I am so pinning this! Really creative. I like these. As you can tell from my blog and my pinterest, I do really love travel related art. Oh my word!!!! 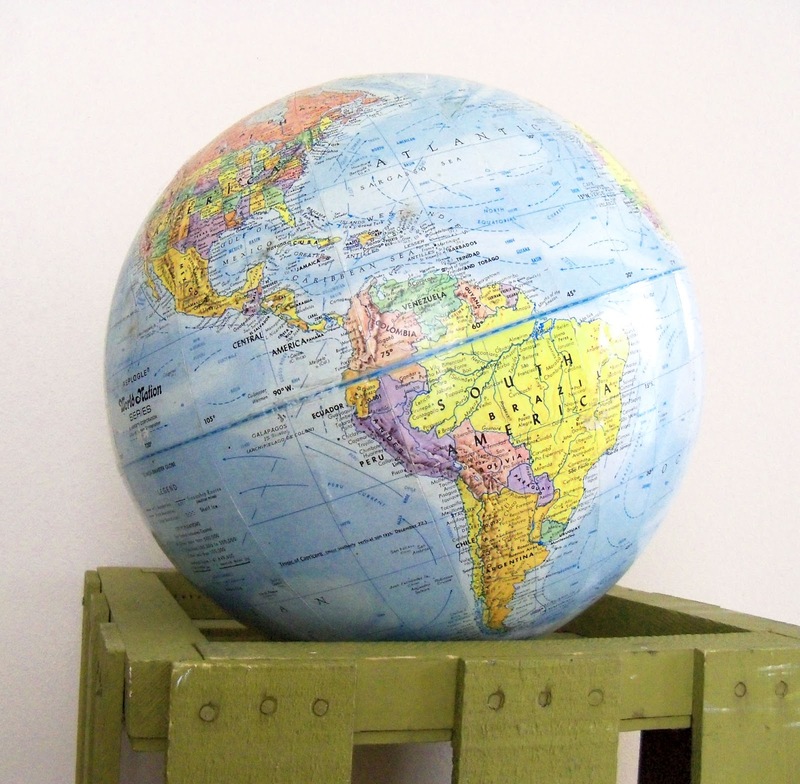 I’m in LOVE with this globe! Pinning it! Following You! 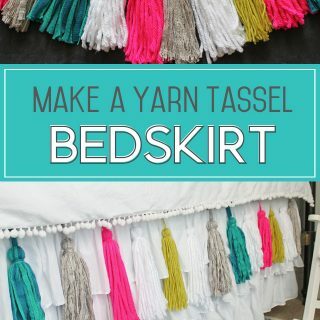 Such a fun and cute idea. I am featuring it at somedaycrafts.blogspot.com. Grab my “featured” button. 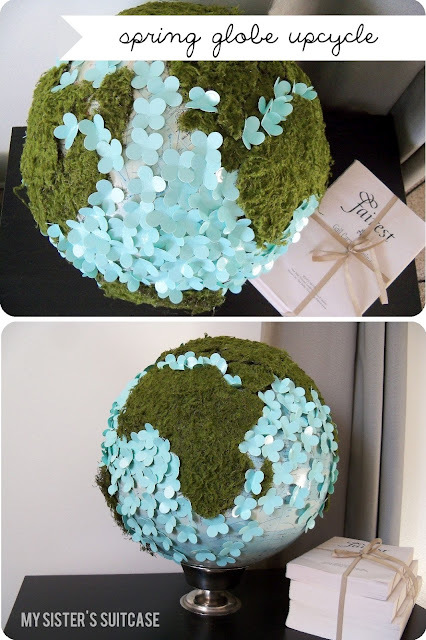 Now that I’ve seen it, I want a globe too!!! Great project! This is brilliant! I love how it turned out. oh my gosh this is adorable! who would’ve thought? I love this idea!! love love love this! LOVE! featured you on my blog today, go check it out! This is SUCH a cool idea! Would make a great art project for schooling too. I love it! Adorable! Great Idea and great job! this is such a GREAT idea. love love love. i’ll certainly be making one of my own! I love it! 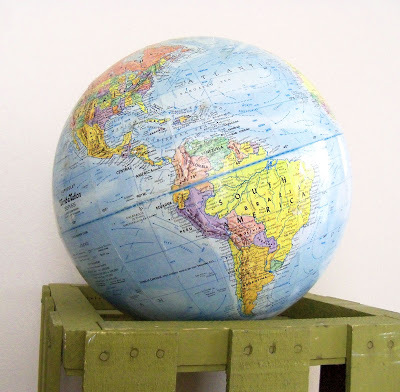 I have an old globe sitting here on my desk and it would look so much cuter transforming it like you did. I will definitely have to do this! Just wanted to let you know that I featured this today. Thanks for sharing @ Show & Share. I just pinned this – love it! Even though you’re now my competition in AC, I’m STILL featuring this awesome globe tomorrow ;-). This is so great! I would love feature this on Reduce, Reuse, Upcycle. Feel free to stop by and grab a featured button. Thanks! I am going to spend a lot of time visiting here. I have seen this thing floating around Pinterest for a month now wondering who the creators were and here you are! So cool! 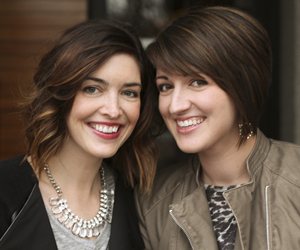 I am visiting from Cents Girl’s blog! Ooh, I love this! Wonderful! !